The Ladies of Charity Associations of the District of Columbia Parish Units received a $1,000 Kathleen Hager Grant Award. 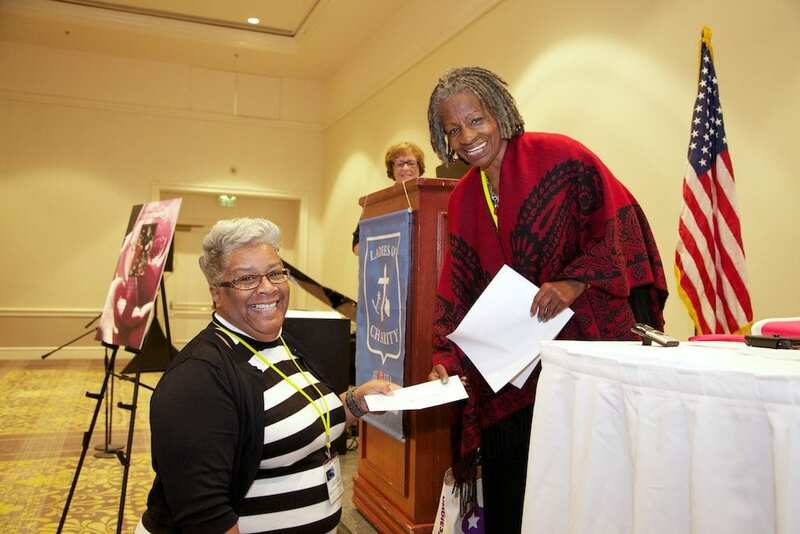 Ms. Cheryl Hamlin-Williams, member of the Ladies of Charity Association of St. Benedict the Moor Church in Washington, DC represented the DC Parish Units as its delegate to the 2013 LCUSA National Assembly held in San Jose, CA. The award will be used to fund the “Shoes 4 Kids” Project sponsored by the DC Parish Units. Dr. Rita L. Robinson presented the award as Vice President of the Middle Atlantic Region at the assembly.